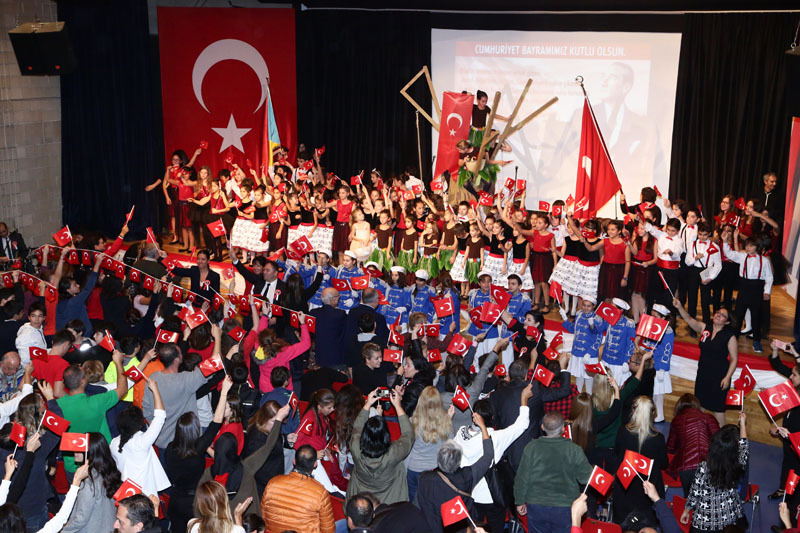 On October 29, a group of Irmak High school students left the school with flag and our pennant to attend the official parade in the morning. 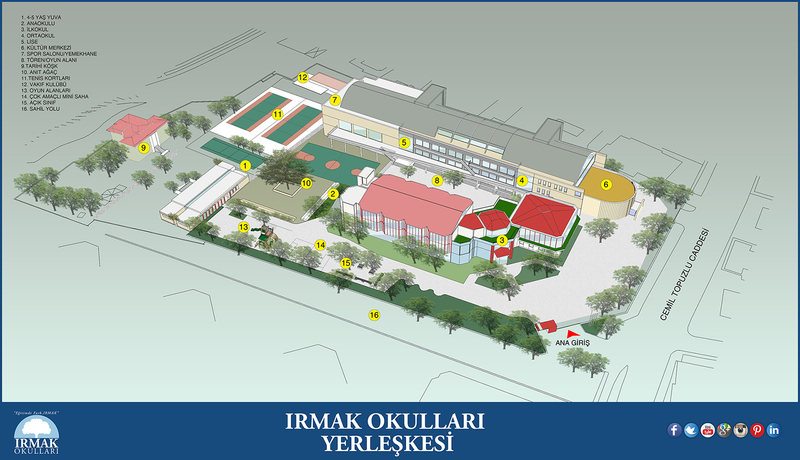 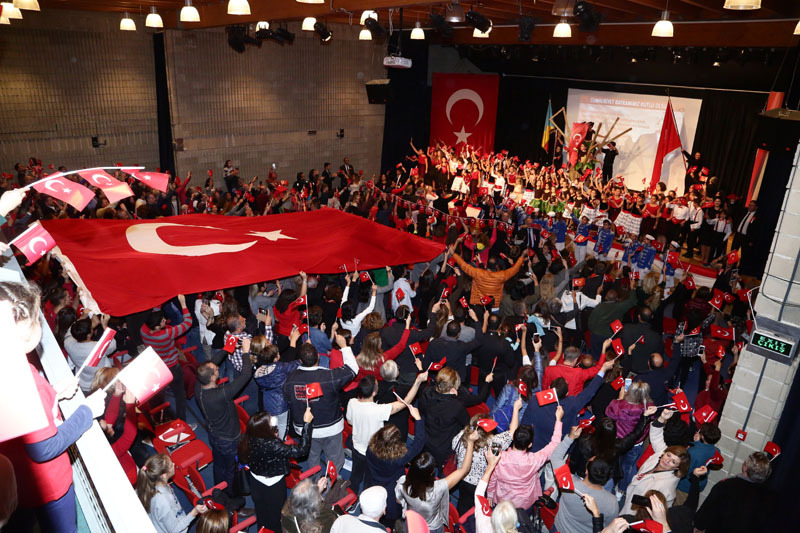 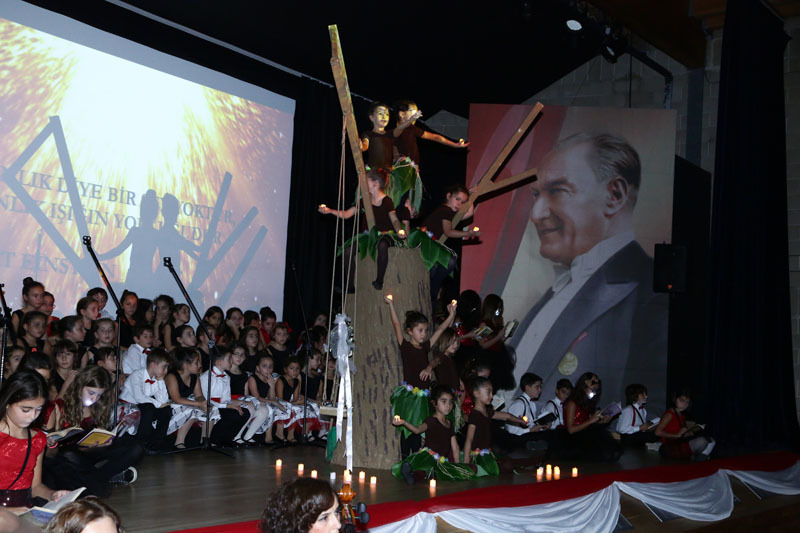 Republic Day celebrations started with all students and parents at 14.00 at Kültür Merkezi. 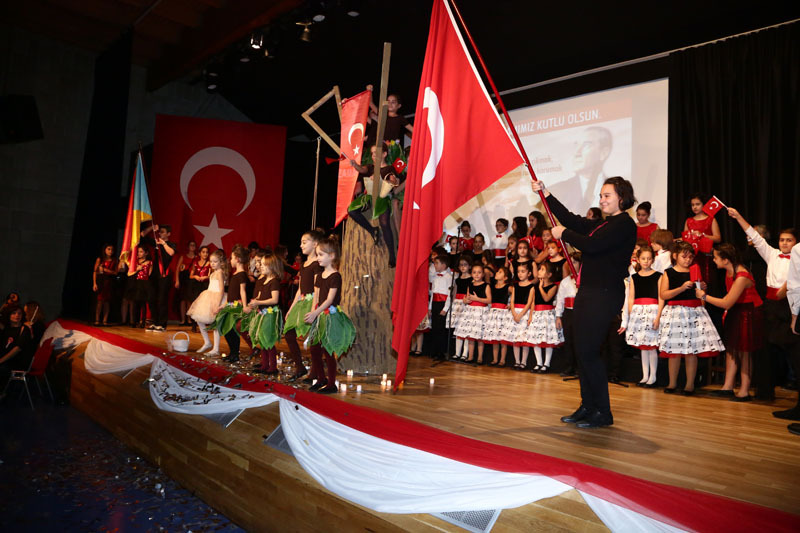 We welcomed all Irmak people with anthems marching band played from 13.00. 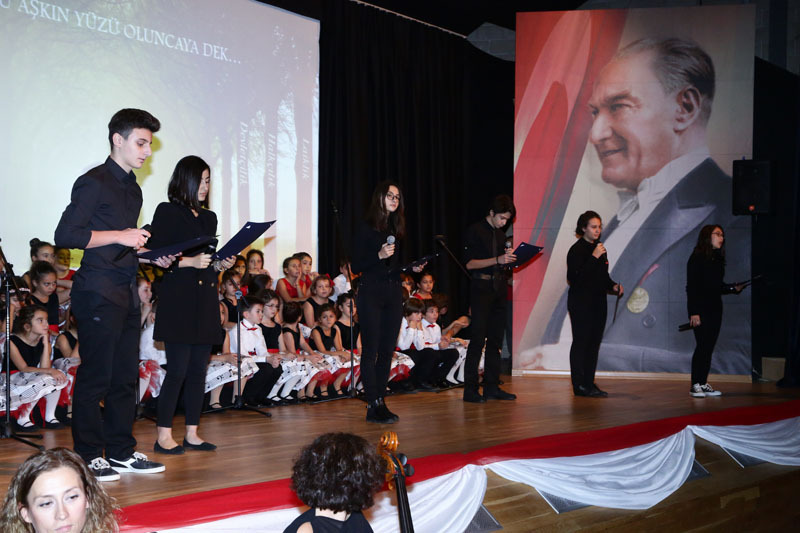 The ceremony started with a moment of silence and National Anthem. 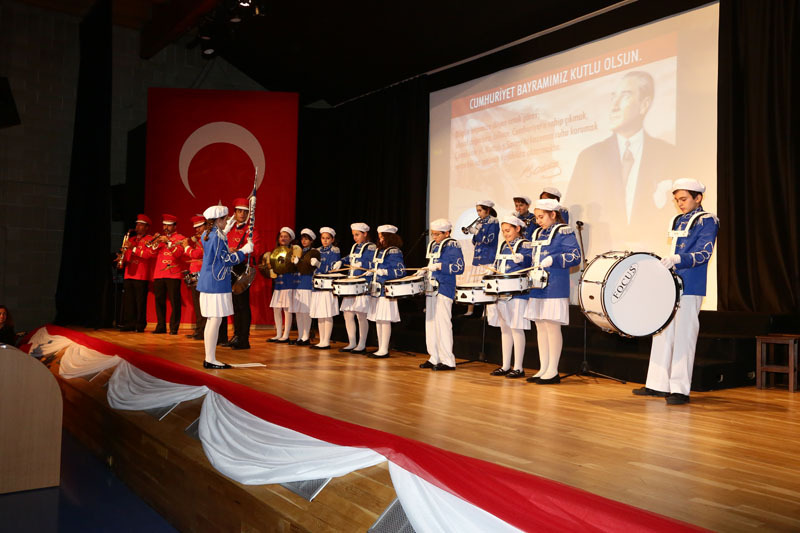 We had an enthusiastic time with the professional marching band accompanying our school marching band playing anthems. 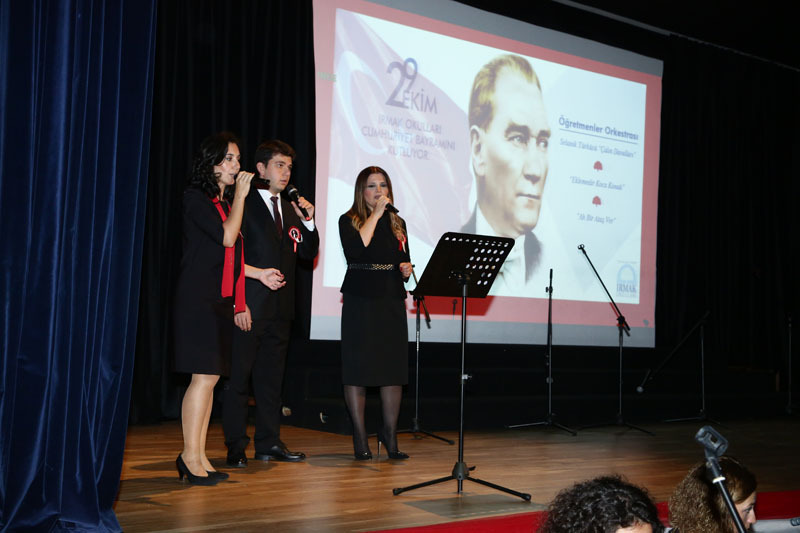 Institution Coordinator Nazan Fettahoğlu made the opening speech. 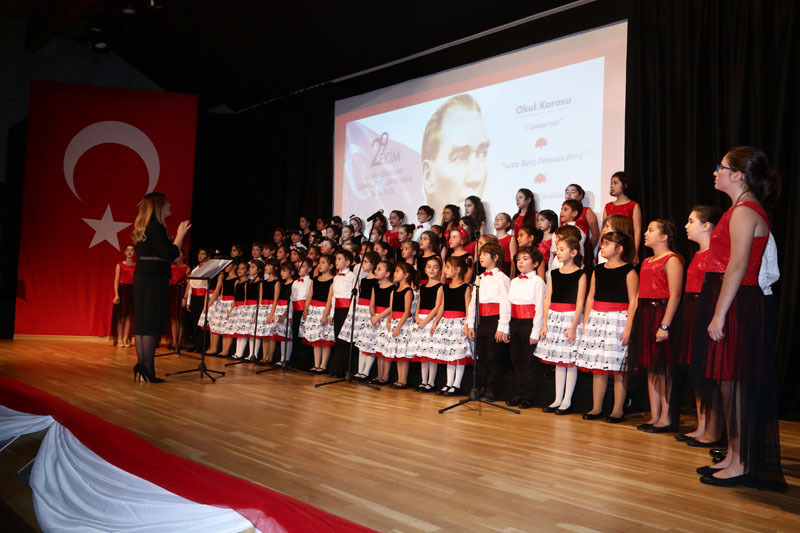 Teacher’s orchestra, school choir and the performance “Cumhuriyet’i Anlamaya Doğru” were watched with a great interest. 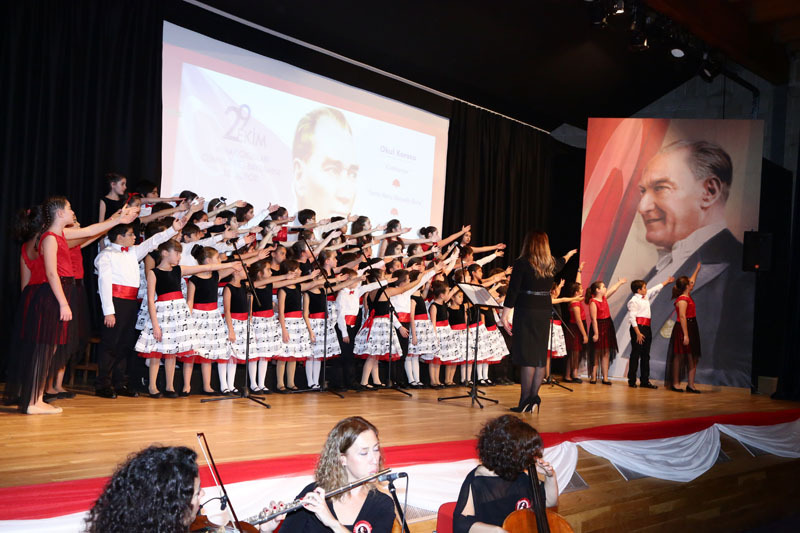 The ceremony ended with all guests and students singing the 10th year anthem together. 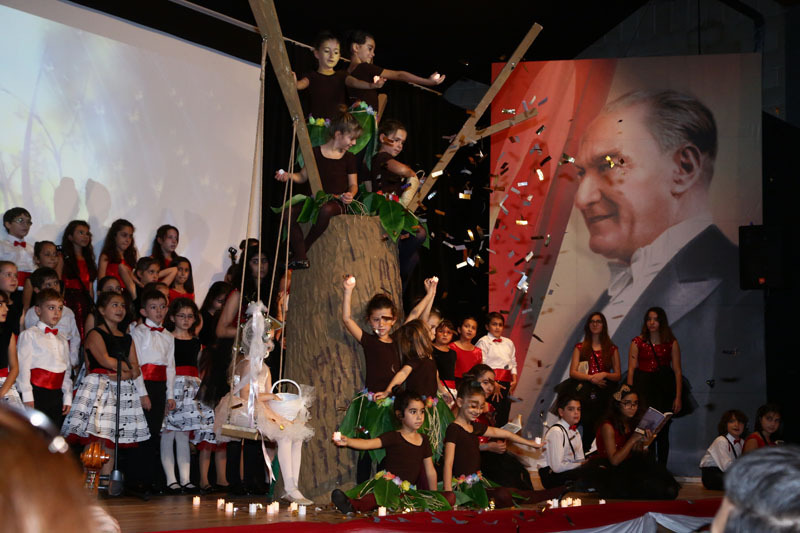 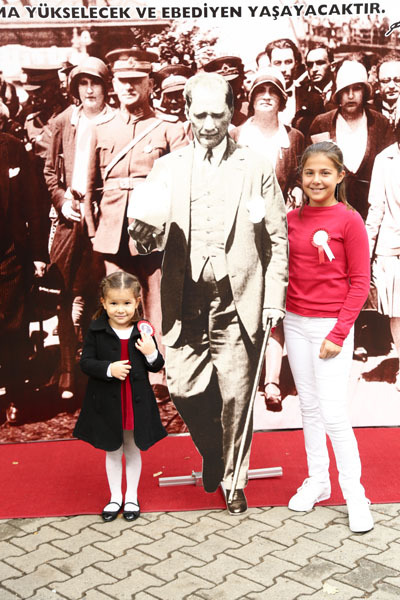 We congratulate all of the students, teachers and personnel who helped to realize the ceremony and we celebrate the 94th anniversary of our Republic with enthusiasm. 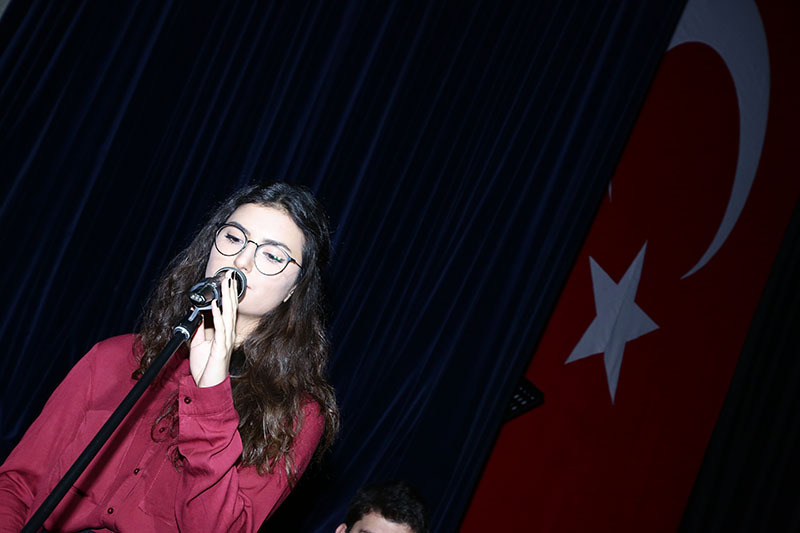 This page was created on 6.11.2017 14:50:44 and has been visited 458 times.